What happens when people cannot cross borders when tragedy strikes? 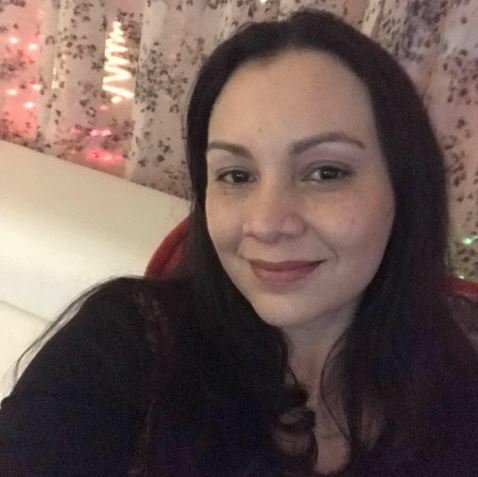 In this multilayered story in the form of a letter, Belinda Castiblanco reaches out to people of all ages who cannot come together when a loved one is taken away. Though a special fellowship awarded by the Regional Economic Development Council/New York State Council on the Arts (REDC/NYSCA), Belinda is working with Herstory Writers Workshop and the Humanities Institute at Stony Brook University to give voice to young people who are faced with such separations and challenges. Magi died two days ago. I have been thinking of better words to give you the news about the loss of your dear friend. There are no better words for something that is so clear and definitive. He is gone. I miss him already, even though we hardly spent time together, aside from the holidays and birthdays. It is not fair; Magi was young, full of life, so loved by many, so needed by many more. Of course, you already know all this, everyone knows how wonderful a human being he was, however, in many ways, you knew him better than I did, and that is something that I envy about you. I am sure that as you read these lines, you find yourself in disbelief, in confusion, in pain as I am. It’s been only two days. I cannot find the courage to tell you what happened to him yet. I do not have the voice, the strength to talk about something so tragic and so stupid. My heart is broken and full of regrets, I am mad at him as well. Please do not mind me; I should not burden you with my pain. Now that you know that he left for a place without borders made of paper, you have to endure your ache. How I wish you could be here, close to what is left of him to say your goodbyes; I know it is impossible, they will never give you a visa because of your criminal past, and because of your underprivileged present. Is amusing to think how if you were a privileged criminal, you could be here tomorrow — After all, the flight from San Salvador to New York lasts only six hours. But all that does not matter anymore. What is important is that I know you loved him as much as all of his friends in El Salvador and here in the United States did. Please, let them know so they can share a prayer for his family. Magi’s soul might not need litanies; he was so good that heaven is surely expecting him. I wish I could comfort you and tell you that it is not true, that it is just a cruel joke from someone who could never be as good as him. My father died four months ago. They sent him to El Salvador, to his other family, to be buried there. My brother-in-law died two months later. He has been cremated. He was a devoted Irish Catholic, and more than once expressed his desire to be buried next to his parents. I wonder if my family is paying for disrespecting his wishes. Nothing has hurt me more in my whole life than Magi’s loss. He will not go back to our country. He will stay here in Long Island, close to us. The cemetery where he will be buried tomorrow is minutes away from my house; I will be able to visit his tomb often. You might never get to present your respects personally, for that, I am so sorry. Please, do not call me. I may explain to you what happened to your friend after my sadness has stopped screaming. You and everyone in our neighborhood must know that a part of me is gone, that I loved him too, that I love him so much. I will never be the same…although what I am or am not, does not matter. The world will never be the same because Magi, my younger brother, died two days ago. Everyone who knew him must know, Magi is gone.